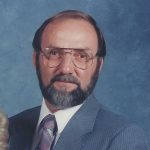 Gloucester, Va. – Ronald Preston Moore, 76, passed away on Wednesday, January 9, 2019. Ronnie, Hampton native and Gloucester resident since 1983, was owner of Ronnie’s Landscaping and Hauling until he retired in 2008. He was a member of White Marsh Baptist Church and was attending Lebanon Christian Church. A member of the Harley Owners Group (HOG), he enjoyed riding his Harley with friends. In 2003 he enjoyed a ride to Milwaukee, WI, with members of HOG to celebrate the 100th Anniversary of the Harley motorcycle. On Friday nights he could be found at Hardees enjoying camaraderie with fellow classic car owners. But dearer to Ronnie’s heart was his wife Nancy of 56 years, his three children, six grandchildren, and six great grandchildren. A loving family man, he enjoyed large family gatherings. Survivors include his loving wife Nancy; children, Cathie Harlan, Thomas Moore, and Kelly Hall; brother, Richard Aubrey Moore, Jr.; 6 grandchildren, Emalee, Kyle, Mandee, Aaron, Tyler, and Gillian; and 6 great-grandchildren Lilly, Carter Grace, Logan, Vincent and Max. He was preceded in death by his parents, Richard and Beulah Moore and sister, Nancy Elaine Lane. The family will receive friends on Friday, January 18, 2019 from 7:00 to 8:30 pm at Amory Funeral Home. A funeral service will be held on Saturday January 19, 2019, at 1:30 PM in Amory Funeral Home Chapel with Rev. Dennis Worsham, officiating. Burial will follow in Peninsula Memorial Park. Memorials may be made to the Parkinson Disease Foundation, Donation Processing, The Michael J. Fox Foundation, P.O. Box 5014, Hagerstown, MD 21741-5014 or to St. Jude’s Children Research Hospital, 501 St Jude Place, Memphis, TN 38105.